This product option adds the MAXDictio module to the advanced qualitative analysis features of MAXQDA Standard. 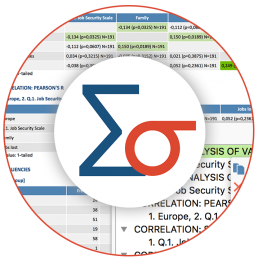 The MAXDictio module enables researchers to facilitate a vast range of procedures for quantitative text analysis. Included are tools for visual text exploration, content analysis, vocabulary analysis, dictionary based analysis and more.